The Unit 2 Exam expects you to know about two biological explanations of schizophrenia: the functions of neurotransmitters and one other. 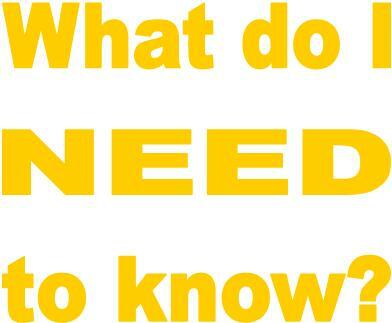 You are also expected to understand a biological treatment for schizophrenia which is linked to these explanations. As part of Unit 1's Biological Approach, you will have looked at a twin study (Gottesman & Shields) and an adoption study (Kety et al.) which both claim that there is a genetic aspect to schizophrenia and that the disorder is passed on, biologically, in families. 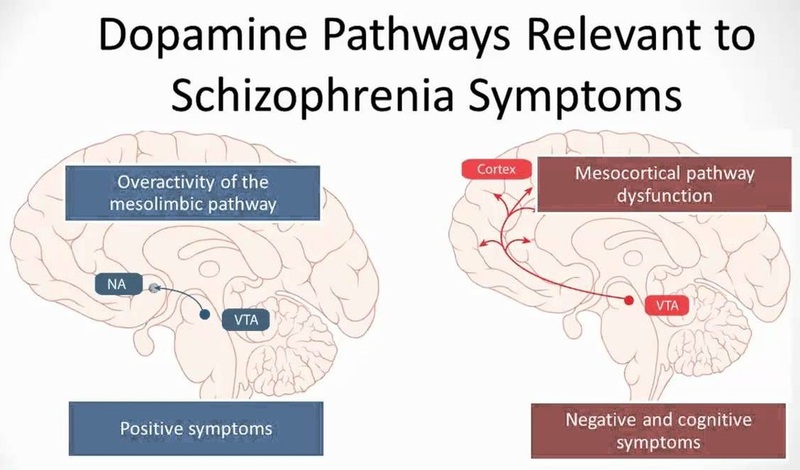 Dopamine systems in the mesolimbic pathway may contribute to the positive symptoms of schizophrenia (such as hallucinations). Dopamine function in the mesocortical pathway may be responsible for the negative symptoms, such as avolition (lack of motivation) and alogia (inability to speak). L-dopa is a drug used to treat Parkinson’s disease by boosting dopamine levels in the brain. Carlsson discovered that giving L-Dopa to animals reduced their Parkinsons-like symptoms; L-dopa also reduced Parkinsons symptoms in humans but gave them psychotic symptoms that were similar to schizophrenia. Amphetamine is a recreational drug which increases dopamine activity and produces schizophrenia-like symptoms in users (known as 'cocaine psychosis'). Drugs like LSD, which are known to increase dopamine activity, also trigger schizophrenic symptoms in healthy people and exaggerate the positive symptoms of those with the disorder. Antipsychotic drugs like phenothiazines (PTZ) reduce the symptoms of schizophrenia and work by blocking dopamine receptors. Post-mortem (after death) examinations show schizophrenia patients have more dopamine receptors in the left amygdala (Falkai et al., 1988) and the caudate nucleus (Owen et al., 1978). The fact that schizophrenia tends to run in families could be a clue that it has a genetic basis. According to the genetic hypothesis, the more closely-related the family member to the person with schizophrenia, the greater their chance of developing the disorder. Concordance rates, which show the percentage of family members developing schizophrenia, are compared to the 1% probability of developing schizophrenia in the general population. 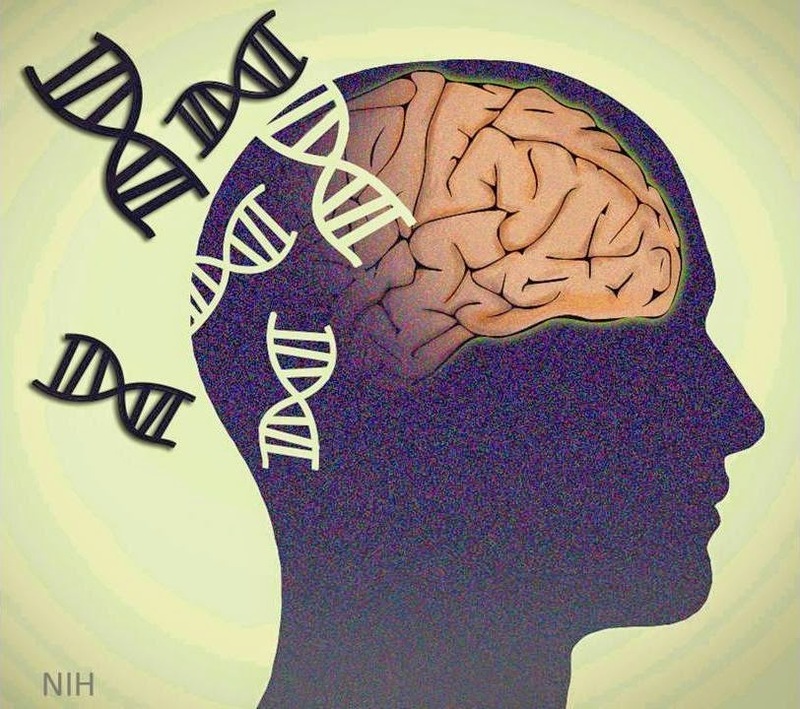 Pinpointing the exact genes responsible has not been easy: schizophrenia seems to involve several genes rather than just one. However, a recent study has narrowed down this search. Sekar et al. (2016) analysed 100,000 human DNA samples from 30 different countries. They identified a gene called complement component 4 (C4), which is part of the immune system. Genetic analysis of 65,000 people found that those who had particular forms of the C4 gene showed higher risk of developing schizophrenia. The human brain normally undergoes synapse pruning during adolescence. This is normally a good thing because it's part of learning: the brain 'prunes' under-used or damaged connections to make space for new ones (this is an example of "use it or lose it" going on in the brain). C4 plays a role in pruning synapses but excessive pruning could lead to the symptoms seen in schizophrenia. Test mice with increased levels of C4 activity lost more brain cells as they matured. This would explain why schizophrenia symptoms appear after adolescence and why the brains of people with schizophrenia have a thinner cerebral cortex with fewer synapses than healthy brains. The main role of C4 is to "mark" infections so that they are attacked by the immune system. 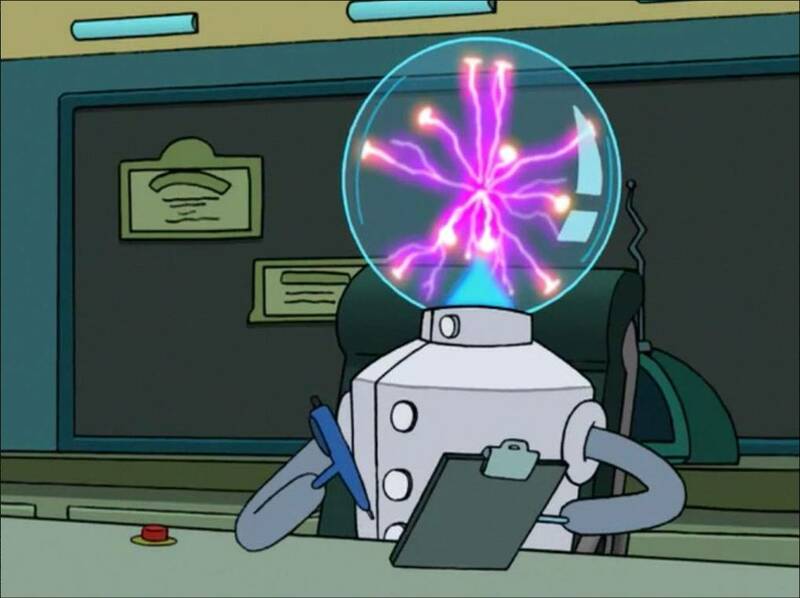 It seems as if, when it is over-active, C4 actually damages the brain it is meant to protect. Recognising the genetic aspect of schizophrenia is important for people with a history of schizophrenia in their families. It alerts them that they are at higher risk of developing the disorder themselves. Based on this information, they could avoid stressful occupations or drug use that might trigger the condition. If the symptoms of schizophrenia are recognised early enough (before a psychotic episode occurs), then the disorder can be managed much more effectively. Understanding the link between schizophrenia and dopamine has led to the development of effective antipsychotic drugs, like phenothiazines (PTZ), which block dopamine receptors and reduce positive symptoms. 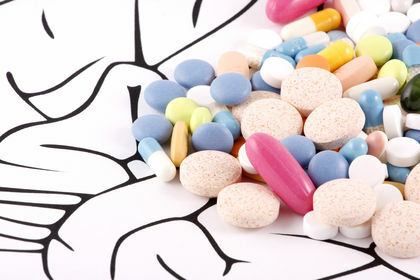 These drugs only deal with positive symptoms and have nasty side-effects of their own. The research into the C4 gene offers hope that in the future therapies could “turn down” the level of synaptic pruning in individuals who show early symptoms of schizophrenia, which would prevent schizophrenia from developing in the first place. However, this sort of cure is still a long way in the future. Because synaptic pruning is in fact a good thing that healthy brains do as part of the learning process, we must be very careful about interfering with this process. 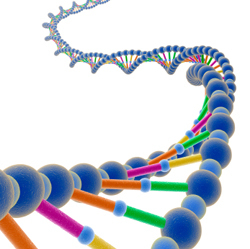 ﻿Twin studies and adoption studies﻿ show clear evidence of a genetic aspect to schizophrenia. 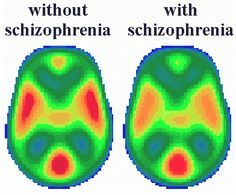 This is because schizophrenia is more common in people who are related to schizophrenics than in the general population. This applies even in the case of people who were adopted and didn't grow up around their schizophrenic relatives. Research into the C4 gene suggests the mechanism that may be at work. Excessive synaptic pruning would explain why the symptoms of schizophrenia appear after adolescence and why the brains of people with schizophrenia appear to "shrink" (with a thinner cerebral cortex). 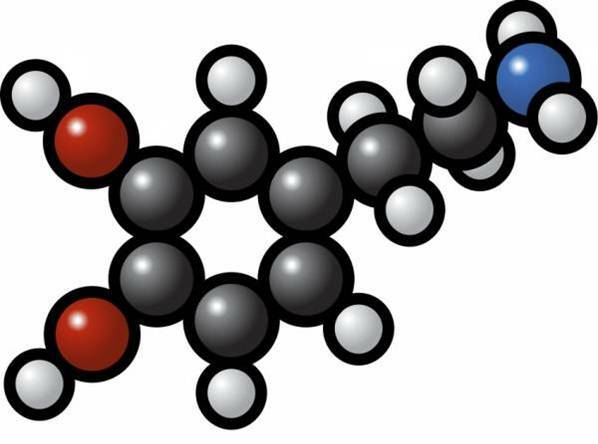 The dopamine hypothesis is backed up by the effects of drugs which boost dopamine activity (and increase psychotic symptoms) or block dopamine receptors (reducing psychotic symptoms). Brain scans and post-mortem examinations of brains also back up the idea that people with schizophrenia have more dopamine receptors in key parts of the brain than healthy people. The biological explanations are not complete explanations. For one thing, twin studies and adoption studies do not show 100% concordance in people with the same genes. This suggests that something non-biological is at work too, like the environment a person lives in. Genes may give a person a predisposition to develop schizophrenia but a trigger is needed to bring the symptoms out (this is Rosenthal's diathesis-stress model of schizophrenia). Biological evidence is always in the form of an observed correlation and correlations do not show cause. This boils down to whether unusual brain activity (excessive dopamine activity, excessive synaptic pruning) causes schizophrenia or whether schizophrenia causes unusual brain activity - or whether an unknown third factor is causing the brain activity AND the schizophrenia. One of the most effective drugs for treating schizophrenia is clopazine which affects serotonin activity. Serotonin is another neurotansmitter linked to mood. This suggests that other neurotransmitters may cause schizophrenia. This is backed up by the fact that some people with schizophrenia do not respond to dopamine-inhibiting drugs. Amphetamines may worsen positive symptoms, but are effective at reducing negative symptoms, while phenothiazines (PTZ) are effective at alleviating positive symptoms but not negatives. Furthermore, although PTZ alters dopamine activity immediately, the symptoms of schizophrenia may take days or weeks to disappear. This focus on drugs suffers from the treatment aetiology fallacy: the cure is not necessarily the cause. Just because drugs work by re-balancing the brain's chemistry does not mean the brain chemistry was the cause in the first place. The focus on only biological factors ignores the role of psychological and environmental factors. For example, poor people are much more at risk from schizophrenia. Psychologists must consider more than one level of explanation; the biological explanation alone is too reductionist (simplistic). The biological explanation is deterministic if it claims that schizophrenia is inevitable in people with the wrong genes. However, the diathesis-stress model doesn't claim this. It only shows that these people have a predisposition (an increased risk). If a person reduces their risk factors, they can influence whether they develop schizophrenia or not. Bradshaw's case study of Carol also suggests that people with schizophrenia can use CBT to control their symptoms and function better. Here, I'll compare the two biological explanations. I'll compare biological with non-biological explanations on another page. The dopamine hypothesis explains the mechanism by which schizophrenia works, but there's still a mystery about why some people have this unusual dopamine activity going on. 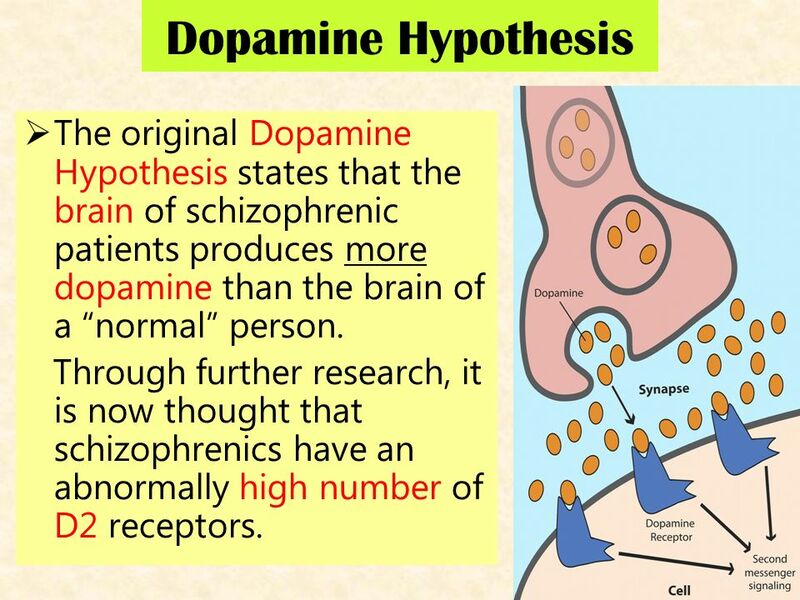 In other words, the dopamine hypothesis DESCRIBES schizophrenia on a biological level but it doesn't really EXPLAIN it. 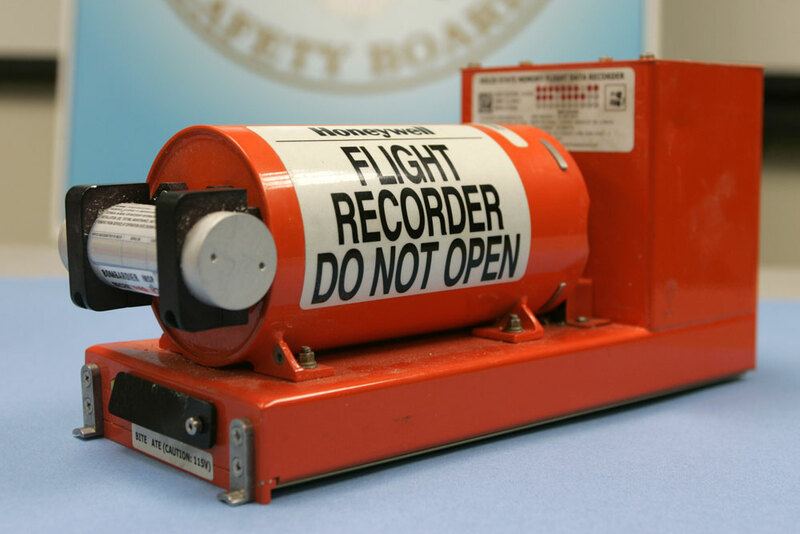 A "black box" is one of those indestructible machines on an aeroplane that records all the flight details and can survive a crash or explosion. Getting into a black box is very difficult but, if you do, it contains the information about what really happened to the plane. Pub quiz trivia: black boxes are actually orange. When you put the genetic explanation together with the dopamine hypothesis, you approach a complete picture of what causes schizophrenia. There are still missing pieces in the puzzle (what's the link between synaptic pruning and neurotransmitter activity?) but the two explanations are COMPLEMENTARY - they work together. The contemporary study into schizophrenia by Carlsson et al. (1999) suggests a different explanation: the Glutamate Hypothesis. Glutamate is another neurotransmitter linked to attention and memory. Schizophrenia symptoms seem to be linked to low levels of glutamate - perhaps because glutamate regulates dopamine, so when glutamate is blocked, dopamine levels become abnormal. Biological explanations have led to the development of antipsychotic drugs. However, these drugs are much more effective at reducing positive symptoms than negative symptoms. They also have nasty side-effects: lethargy (extreme sleepiness), weight gain, sexual problems and a high risk of diabetes. Critics in the Recovery Movement reject the biological explanation and the dependency on drugs, which they argue do more harm than good and only create profits for "Big Pharma" (the medical drugs industry). The recovery model recommends that people with schizophrenia stop thinking of themselves as 'sick', embrace their symptoms and learn to cope with them and focus on changing their lifestyle/outlook instead. A 8-mark “evaluate” question awards 4 marks for describing one particular biological explanation of schizophrenia (AO1) and 4 marks for evaluating it with reference to treatment (AO2). You need a conclusion to get a mark in the top band (7-8 marks). If neurotransmitters cause schizophrenia, then reducing this activity may cure the symptoms. (AO1) For example, phenothiazine (PTZ) is an antipsychotic blocks dopamine activity. The dopamine hypothesis is an incomplete explanation because other neurotransmitters may be at work. (AO1) For example, clopazine is another antipsychotic drug that affects serotonin, a different neurotransmitter. Antipsychotics can have nasty side-effects and only tackle positive symptoms. (AO1) For example, PTZ produces weight gain and sleep problems and the "thorazine shuffle". Focusing on neurotransmitters does not cure schizophrenia but only keeps the symptoms under control. (AO1) For example, someone may have to take antipsychotics for years and if they stop taking the drugs the symptoms could return. Biological explanations have led to helpful treatments but won't be a complete cure. People with schizophrenia need psychological treatments too like CBT. Notice that for a 8-mark answer you don’t have to include everything about the reliability of diagnosis. You will notice I haven't mentioned amphetamines or the problems of determinism. But it is a balanced answer - one half description and one half evaluation.